Former Health minister David Parirenyatwa yesterday unsuccessfully filed an application to have his matter referred to the High Court for a review. 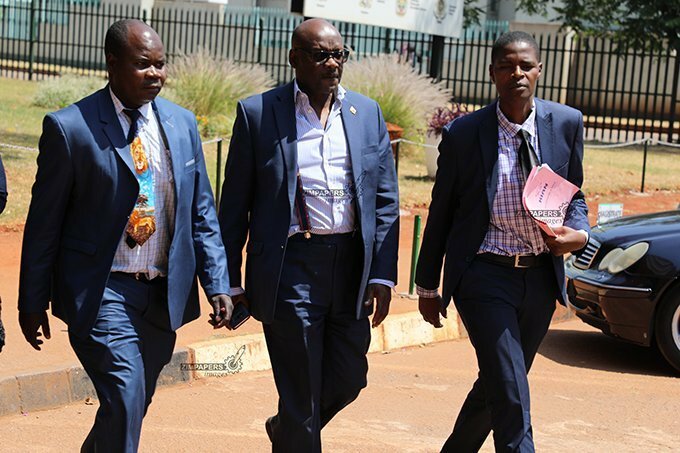 Parirenyatwa was also seeking an order to restart the trial after he discovered that the magistrate’s notes which were transcribed from his handwritten notes during proceedings differed with his lawyer’s recorded notes. Parirenyatwa, who appeared before magistrate Elijah Makomo had filed an application to have access to the audio recordings of the court proceedings saying they wanted to verify whether what was transcribed was correct. After being given the chance by the State to listen to the audio, Parirenyatwa’s lawyer James Makiya discovered that the recording and what the court transcribed were different. This raised suspicion that the facts were manipulated for unknown reasons and the defence asked the court to allow the chief court proceedings transcriber Constantine Musango to come and testify. Musango who has more than 30 years experience told the court that the audio recording of Parirenyatwa’s trial proceedings were not clear because of a noisy background which had made it difficult to transcribe. Advocate Deepak Mehter, who was being instructed by Makiya then asked Musango the origins of the transcribed copy. Musango told the court that after he failed to use the audio recording from a CD, he then used Makomo’s handwritten notes to transcribe the proceedings. However, the defence then applied for the matter to be referred to the High Court for review and to seek a trial restart saying Makomo falsely recorded the proceedings, especially the testimony of former Natpharm board chairperson George Washaya. Mehter said In terms of the Magistrate’s Act, the presiding magistrates are supposed to record everything said in court. The notes are then used together with the audio recording to make-up a transcribed copy. Mehter further said the court is a court of record and everything said must be recorded, but Makomo in his ruling dismissing the application said as a magistrate he writes everything which can be of relevance to the merit of the case not everything said in court. Makomo then ordered the State to proceed to lead the witness Washaya.